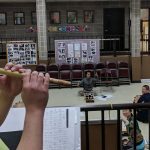 We are preparing for a 6-day residency with master Japanese musician Kyosuke Suzuki of the acclaimed Wakayama Shachu performance troupe. 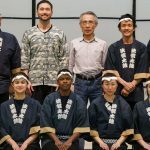 Follow our journey to learn Edo Bayashi in time for his April 2018 visit! 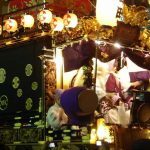 We welcome you to follow us as we study Edo Matsuri Bayashi, a 300 year-old musical tradition originating from the streets of old Tokyo. 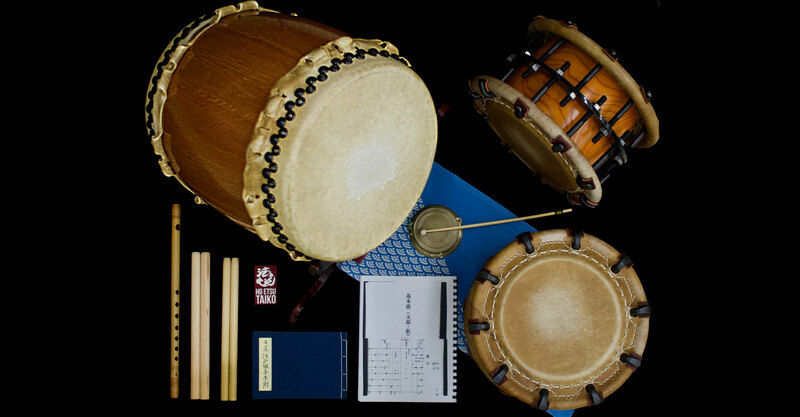 Composed of five distinct pieces played by two shimedaiko, one ōdaiko, one atarigane, and one shinobue, Edo Bayashi is customarily played as festival accompaniment music and forms one of the foundations of contemporary taiko music in America. Our friend and long-time collaborator Eien Hunter-Ishikawa introduced us to Edo Bayashi during an October 2017 workshop visit. In just a few short days, we worked our way through all five sections of the sheet music. 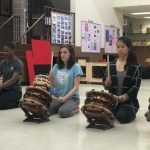 Eien had recently completed a successful U.S. workshop tour (including a stop at the North American Taiko Conference) with Suzuki-sensei of Tokyo-based performance troupe Wakayama Shachu, one of the foremost practitioners of the tradition. He mentioned that Suzuki would return in April 2018 and asked if Ho Etsu wanted to schedule a stop on the tour. Naturally, we said yes! 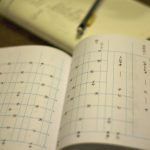 We’ve spent a few months preparing our toolkit: buying the right bachi, purchasing (and translating!) 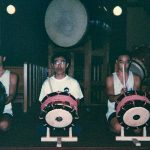 the official music book, and interviewing & connecting with Suzuki-sensei’s collaborators and students. 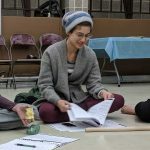 This journal will be a place where we share the resources we develop, as well as our best thinking on how to learn such an involved piece on your own. At its best, the blog will exist somewhere between field notes and a conversation with many partners. We want to share insights from Suzuki-sensei’s collaborators and students who have been studying this tradition long before us. We’d also like to hear from new voices from within Ho Etsu, and have compiled a crack team of writers! The time commitment measured against our other 2018 goals was a consideration. 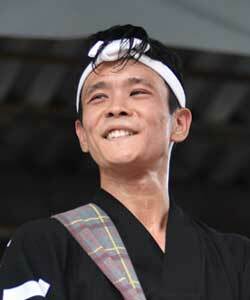 However, it is a rare opportunity to work with a musician the caliber of Suzuki-sensei. 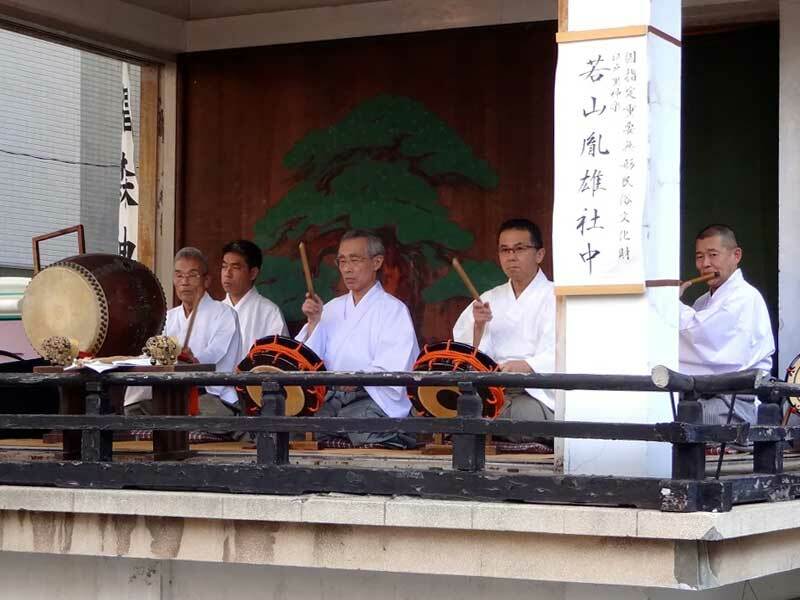 Suzuki studied under Taneo Wakayama of the Wakayama School, an artist recognized by the Japanese Ministry of Culture to be an “Important Intangible Cultural Property of Fine Arts.” Among other traditional cultural arts, the troupe has dedicated themselves to elevating Edo Matsuri Bayashi to its highest level. 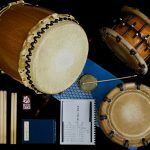 This project is a way for us to live our stated values of respecting the traditional roots of taiko. I am excited to see how the study of Edo Bayashi will influence each individual player, as well as the ensemble’s character overall.